We understand that your vehicle is more than just transportation. A vehicle is an investment that you rely on daily to keep you and your family safe while going to work, taking the kids to school, going on vacation and many other activities you are responsible for. 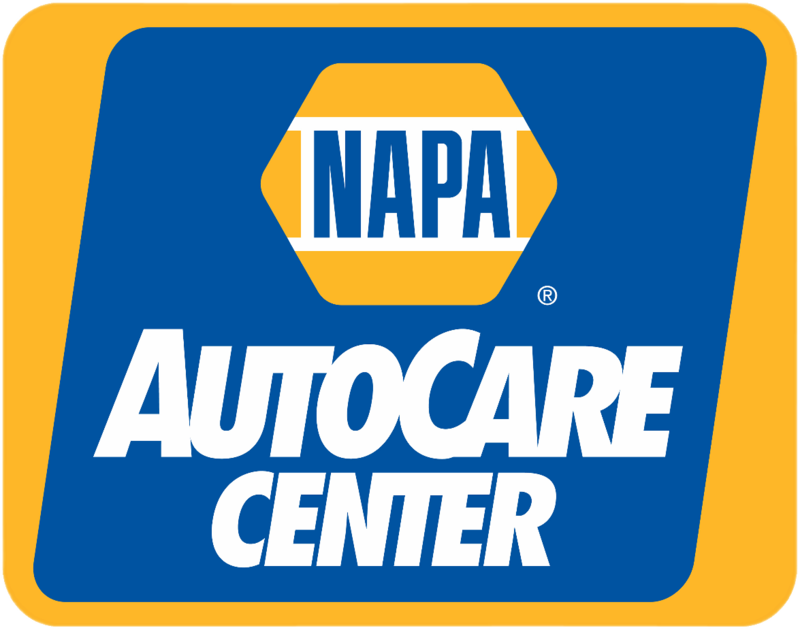 Our mission is to help you maintain your vehicle so that your family has a safe and dependable daily commute. To accomplish this, we provide excellent customer service, honest estimates and repairs, and we work hard to repair your vehicle in a timely and cost-efficient manner. For the last 45 years we’ve been striving to provide our customers the best quality service possible to gain their full satisfaction. You can rely on the competence of our technicians and staff who are trustworthy, caring, hardworking, and continually go above and beyond to ensure our customers have a great experience. 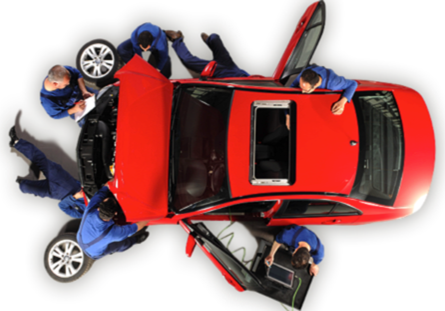 We want to be the shop that handles all of your mechanical and auto body repairs. We are grateful for our customers who show their appreciation by coming back to us repeatedly and their willingness to refer their friends. Tim is a Co-Owner at Ed’s Automotive. He started his career in the family business in 1986 and has been here ever since. Tim is an ASE Certified Master Collision Repair Technician and I-CAR certified. He takes huge pride in his work and servicing his clients beyond their expectations is what he specializes in, offering the highest quality service at a fair price. He loves to work with his clients to solve their problems and always tries to make an effort to keep the process as easy as possible. Tim and his wife, Karen, live in Lynchburg. They met in high school and became high school sweethearts who have been together ever since. 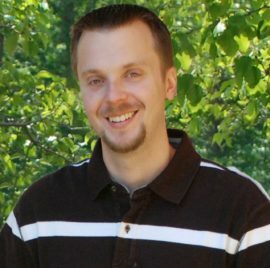 They have 3 adult children, Kaitlin, who resides with her husband Brandon in Concord, Christian, who resides in Richmond, and Tatum who resides in Lynchburg. One grandson Jackson and another grandchild on the way. Tim has spent the last ten years coaching various baseball teams. You can now find him dressed in blue on the baseball field umpiring high school games. Tim enjoys spending time with his family especially his grandson Jackson. Michelle started working at Ed’s Automotive in 2002 while going to college part time. After college, she loved the atmosphere and customers so much that she decided to continue her career with us. Michelle is the voice you will hear when you call our shop and whether you have a question about a car or a part, she will generally give you not only an answer; but it will be the right one. She goes above and beyond to make every customer’s experience at Ed’s Automotive, no matter how big or small, the best they have ever known in the automotive arena. She will take the time to discuss your individual auto repair needs with you so that you can make the best decision for your vehicle. Michelle and her husband, Jamie, live in Lynchburg. They have 3 children, Logan, Zoey and Landon. When not working, you will most likely find her at a ballfield watching her children play softball and baseball. 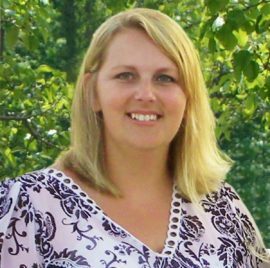 She also volunteers at her children’s school and is a Girl Scout troop leader of 12 girls. 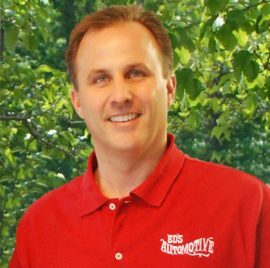 The History of Ed’s Automotive, Inc.
Ed’s Automotive, Inc. was founded by Ed Sanderson in 1972. 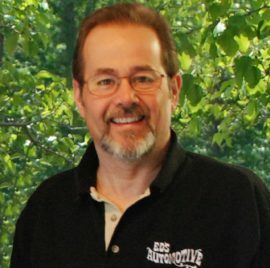 In the fall of 1971, Ed left his position as Body Shop Manager at Vaughan Chevrolet and Cadillac (now Pinkerton Chevrolet) to start his own business. 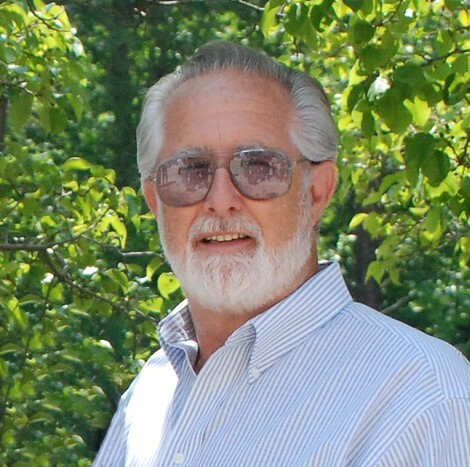 He began the construction of our building and opened the doors for business in March of 1972, starting a complete automotive service center and body shop to serve the Lynchburg area. Ed specialized in engine overhauls and all over paint jobs. As time went by, the business became a more complete service center. Edward, Ed’s oldest son, came to work in the automotive service shop in 1981. Over the course of the next few years, Edward managed the mechanical shop while Ed focused on the body shop. Tim, Ed’s youngest son, joined the family business in 1986 to work in the body shop. At that time, Ed became more of the general manager of the business. During the 1990’s automotive technology advanced with the use of computer controls on many systems. Ed was happy to step back from the day to day workings of the business. He made sure that Edward and Tim received the training needed to tackle and repair these high tech automobiles. Ed stayed involved as a manager and mentor for his sons until the day would come to turn the business over to them. On January 1, 2007, Ed officially retired and turned the business over to his sons. Edward and Tim still continue to use the same family business values that Ed instilled in them since the day they started working at the shop. Since 1972, the Sanderson family has been providing excellent service and offering outstanding value to residents of Lynchburg and its surrounding counties.